Welcome to our "91 Weeks of Transformation" guide! Over the next two years our congregation and friends will be participating in our third shared journey through God’s life changing Word. This guide is intended to assist you in that journey. I'll be supplementing Pastor Soper's daily, explanatory material with a weekly analysis. That analysis will focus on God’s transforming work in our lives, and what each week’s readings say in that regard. I’ll consider transformation from both an individual perspective and a corporate perspective, since transformation it isn’t complete until it unfolds in both arenas. Since ACAC will undergo significant transformation during this journey - with projects like the campus redesign and "Finding Joshua" underway - our weekly focus should prove strategic. I personally want to encourage your participation in this journey through God’s Word. If you get started and fall behind, don't worry. It happens to us all. And don’t quit! Simply jump back in and keep plugging away. 75 weeks of daily Bible study won’t offer as much as 91 weeks, but it certainly offers far more than 19 weeks! If the website or app work better for you than print materials (or vice versa) go with what works. God will meet you wherever, whenever, and however you engage His Word. Pastor Soper’s daily commentaries have been transcribed and organized by week. Go to www.mission119.org or download the Mission119 app for your iPhone or Android mobile device. Select the applicable week and day. Listen to the audio commentary. Watch for Pastor Rock's weekly commentary posted to www.acac.net. Q: How much time will it take each day to read the assigned passages and listen to the commentary? A: Approximately 20-30 minutes - 5 days per week. Q: How can I reset my Mission119 account in so it tracks my progress for a 2nd time? A: Login to your account, select "More" at the top, select "Send feedback," type "ACAC" in the comment box and submit. Your account will be reset within 1 day. Q: What if I miss a few weeks for any reason? A: No problem. When you are ready to resume, just check the Scripture Reading Guide and pick up where we are in the reading plan. You can always make-up missed readings at your convenience or at the end of the 91 weeks. Q: Can I join 91 Weeks after the launch in February 2019? A: Yes! You can begin anytime along the journey. Just begin where we currently are according to the Scripture Reading Guide. You can make up any passages you missed at your convenience. 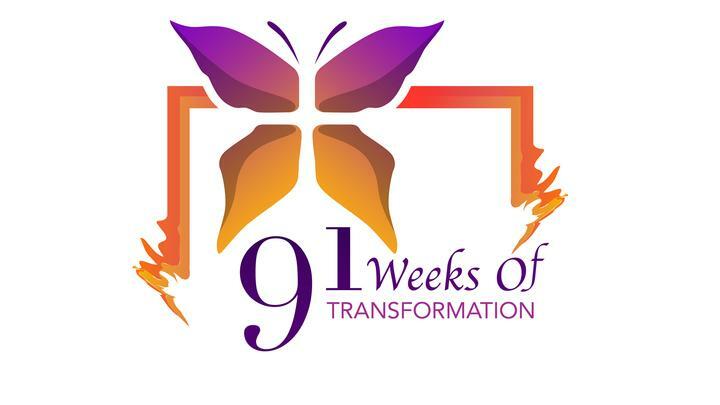 On our last congregational pass through the 91 weeks program, our theme was 91 Weeks with the Holy Spirit. Pastor Rock provided weekly commentaries on this theme and you can still access them!